I recently had the opportunity to visit Paris and came across so many lovely places that I couldn’t help but share them with you. Whether your next Parisian holiday is more of a Pinterest-fuelled pipe dream or a soon-to-be reality, scroll down to check out the best insider places to eat, shop, and play in the city—perhaps you’ll find an excuse to book your next trip! 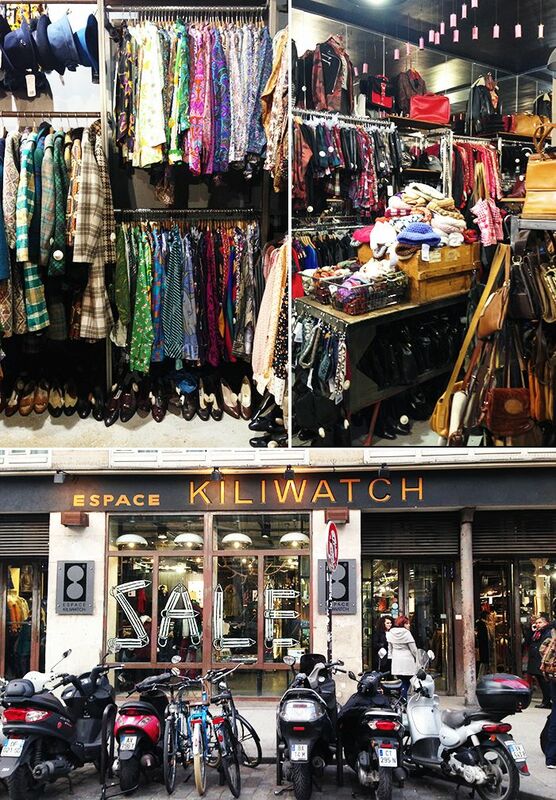 Kiliwatch’s vintage collection is practically encyclopedic. You can find almost anything you want, from the perfect worn-in leather jacket to a classic striped bateau shirt. I especially love their bag selection. Prices are mid-range—go to Hippy Market for more affordable vintage finds. While Paris certainly has its fair share of incredible hotels, I can’t recommend staying at an Airbnb enough. Unless you’re spending major money, the hotel rooms tend to be small by American standards, so an Airbnb is a fantastic way to have plenty of space, and you can pretend you actually live there! Plus, the host usually welcomes you with a bottle of wine and personalised recommendations. I love the Marais area—it’s very walkable, and feels young and cool, yet isn’t so up-and-coming that it doesn’t feel safe. I stayed in the pictured, light-filled apartment, but I also love this loft and this minimalist space. If you’re looking for one-of-a-kind French treasures, there’s no better place than Les Puces de Saint-Ouen, the world’s biggest flea market. It’s a bit of a trek to get there (here’s some helpful instructions to find it), but it’s completely worth it. There are many different sections, and I found the Marché Vernaison to have the best, affordable finds. I scooped up vintage striped dishtowels embroidered with initials, a silver trinket tray with a snake detail, and a couple antique geometric sketches from an architecture school. David Lynch’s Parisian club is every bit as surreal as his films. You descend six flights of stairs and enter through a gold, glittering tunnel to a network of underground rooms. My favourite? The dancing area with a reflective floor and cabaret-inspired stage. Definitely wear your most forward outfit, and be prepared to dance all night long—it’s open until 6 a.m. on weekends! If you can’t swing a table at the wildly delicious and impossible-to-get-into Frenchie, head to its sister restaurant across the street, Frenchie Wine Bar, which doesn’t take reservations. The wine selection is unbeatable, and the food is outstanding. The menu has already changed since I was there, but I’m sure anything they offer would be incredible. Off-topic side note: The restroom is oddly charming—I snapped a couple inspiration photos for my own bathroom someday! If you’re the crafty type, or even just the type that loves a well-wrapped gift, don’t miss La Droguerie. They have everything from buttons, yarn, and fabric, to paper butterflies and beads, but I was most impressed with their ribbon selection. I swear some of the prints looked like patterns you’d see on Marni dress. Quiz: Which Fashion Week City Should You Live In? Most open-air food markets are a pretty great place to walk around and get a taste for the local food, but only Le Marché Des Enfants Rouges, in the heart of the Marais district, has the world-famous Chez Alain. Not only will you walk away with one of the best sandwiches you’ve ever eaten, you’ll also have met perhaps the most charming man in all of Paris, Alain (pictured in the red vest in the middle-left photo). The man behind the popular stand is always entertaining, whether he’s dancing with the sandwich wrappers or tossing his spices in the air before catching them and sprinkling them all over your food. He’s effervescent, a bit sassy, and has an infectious joie de vivre. We’d go back just for Alain, but his fresh and delicious food doesn’t hurt either. If you love eclairs, or even just think they’re OK, a stop by L'Eclair de Génie is mandatory. I can’t recall the name, but the one pictured on the right was complete caramel heaven. 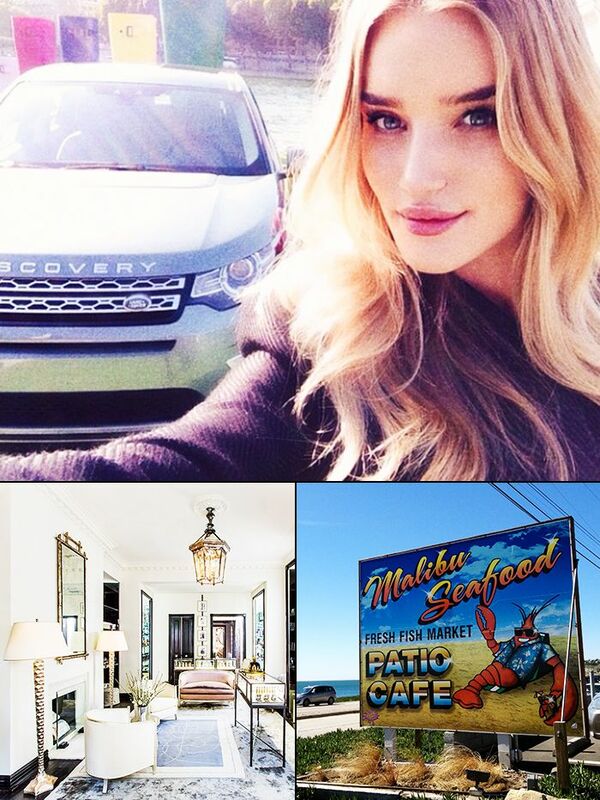 Come for the Instagram opportunities (hello, baby red car!) and stay for the shopping and cosy café with book-lined walls. This concept shop has it all—clothing and accessories, homewares, and gifts. I walked away with a pair of leopard pony hair Isabel Marant heels and a small orange envelope filled with a French photographer’s mini images of Los Angeles, which made a unique gift for a friend back home. What Parisian spots would you add to this list? Let us know in the comments below!